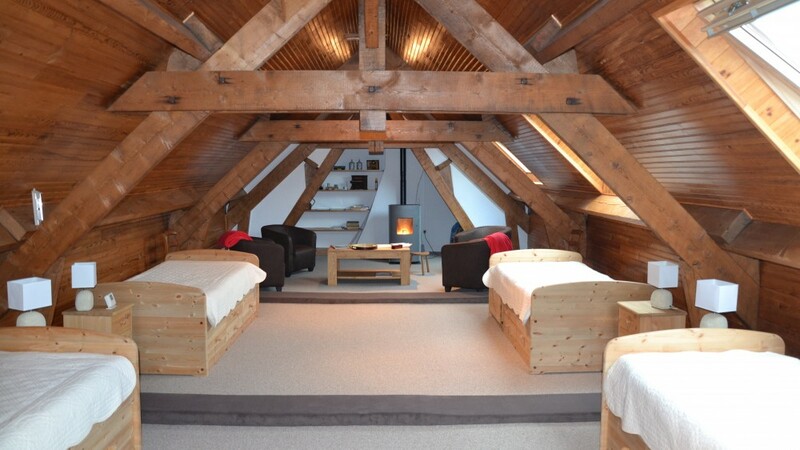 This additional space on the second floor (narrow staircase) is designed to accommodate extra guests when the main bedrooms are occupied, or small groups of walkers on the Camino de Santiago. 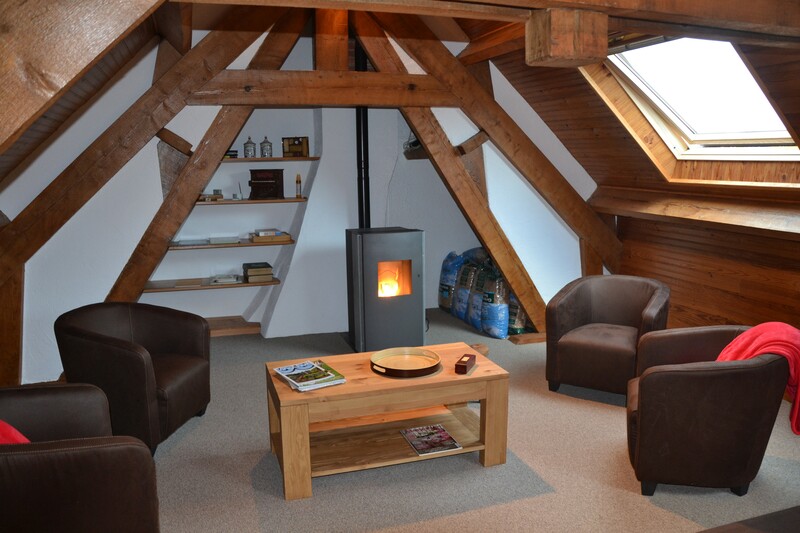 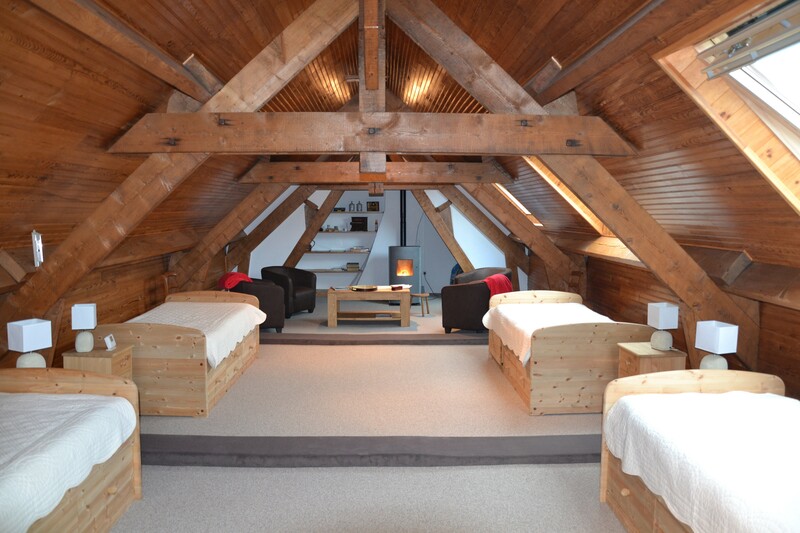 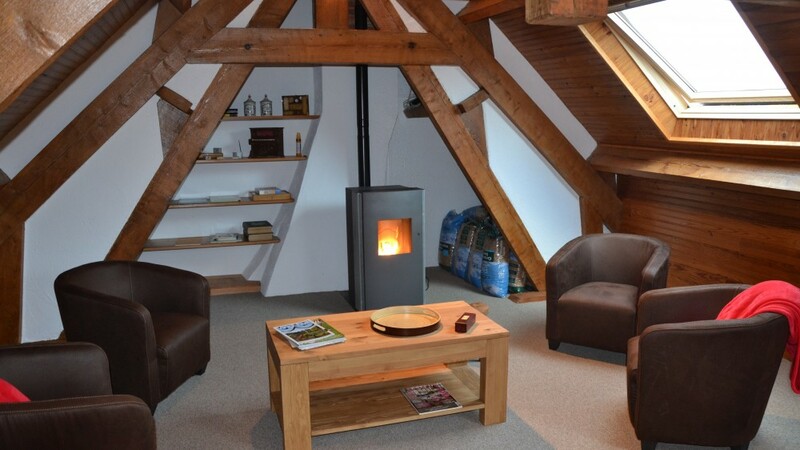 In an “all wood” atmosphere, the large main room offers 4 beds (single beds 90cm) and a sitting area around a pellet stove. 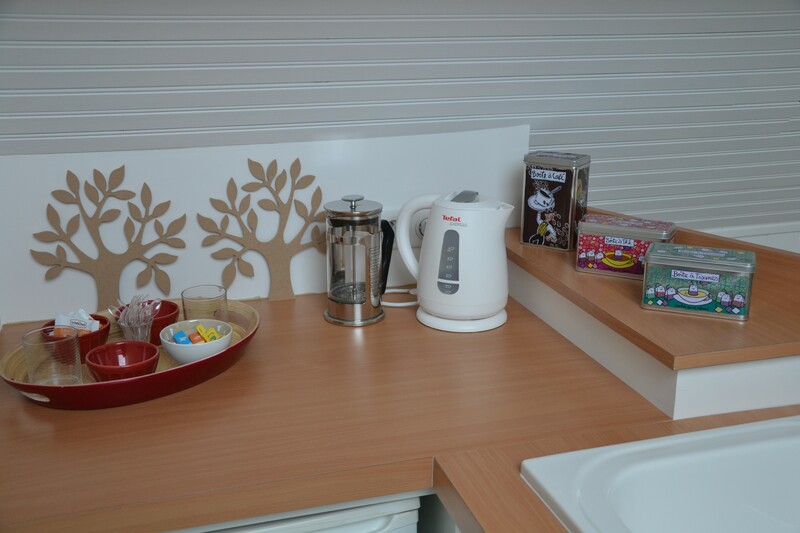 Your private facilities include shower, toilet, sink, and a kitchenette to prepare hot and cold drinks (you may use the kitchen on the ground floor for meals you’ll prepare with your own provisions). 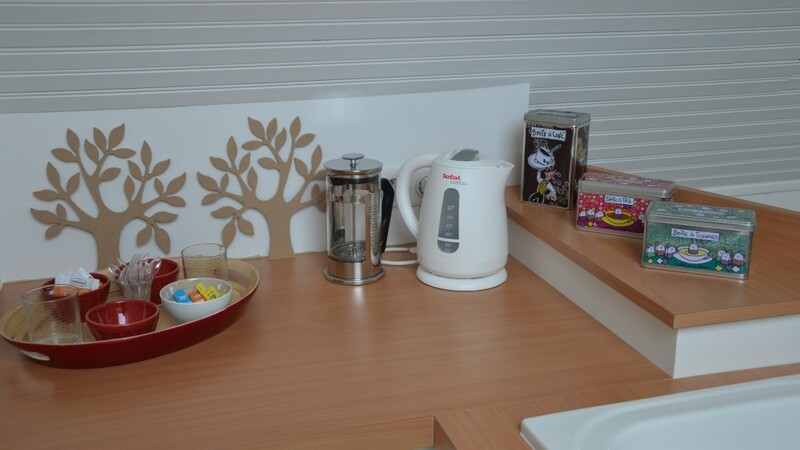 Or course, you will join the table for the hearty breakfast served in the large room on the ground floor.